Is generating traffic and glueing people to your blog a problem? For the modern marketer, producing content that stands above everything else on the web is a challenge, but that hasn’t stopped everyone from doing it. In 2018, HubSpot report that 55% of marketers say blog content creation is their top inbound marketing priority. However, 75% of HubSpot's blog views and 90% of blog leads come from old posts — so instead of focusing on the new, why not revamp the old? That’s why we started to republish blogs, and we’re going to show you how to do it. Increase blog traffic and lower bounce rates — optimising your blogs for search engines and for the user journey will mean more people visit them, and fewer people leave them. Spot weaknesses or opportunities for improvement — for example, wrong keyword usage or a chance to insert extra content. Republishing means looking at data, and every marketer should seize the opportunity to look at numbers. It shows your customers you care; updating it means they’re always getting accurate information. Increase your search engine rank — Give high-performance blogs a boost, and low performing blogs a fresh lick of paint, so you appear higher in search results. Take out the trash — let’s be honest, blogs you were producing to begin with may be rubbish. Stay credible by removing them. It doesn’t matter whether you have four or four hundred blogs, you can republish any time (although it helps if you have a few). If you’re convinced republishing is for you, we’ll show you how to do it in three stages. Before you republish you need an idea of what you’re achieving at present. Google Analytics is a great place to start, it’ll give you information like your bounce rate, where your traffic is coming from and how long people stay on your site. For example, as you can see from Google Analytics, the bounce rate for our blog is relatively high, whereas our page views are up and down. This suggests that while people are visiting our blog articles, a lot of them are leaving. This data formed the basis of our republishing strategy. Republishing for any of the above reasons, or as a product of data analysis shows you have the right idea, however, you need to tie a goal and a metric to your reason. Red-Fern have republished 26 articles since May — we realised we had a bit of a haphazard approach. This was when we decided we’d republish articles grouped into campaigns, and write pillar articles for each campaign. A pillar article is a 3000-4000 word overview of a topic, supported by various blog posts that are linked back to its parent. Our team decided to republish our content marketing articles and create a pillar simultaneously. We have lots of content marketing blogs that hadn’t been updated for some time, and we wanted everything that supported our pillar to be worthy! We then had to tie a metric to it. For this campaign, our goal was to improve our traffic by 50% in the next six months and lower our bounce rate by 15%. Use Google Analytics or your blog tracking software to collect information on all your blogs. Order them by whatever metric you see fit, but this is usually something like page views or bounce rate — that way you can analyse performance and determine importance. This list can also impact how you republish your articles. You may want to republish the most popular articles; others may want to republish the articles with the highest bounce rates first or blogs that are tied to a particular campaign. In our blog master list we include campaign and funnel positioning so our team can see what our best performing content is (you can get this master list in our republishing pack). Once you have all the details to get started, you need to start building your strategy; if you don’t document it things can get messy! Red-Fern chose to use Google Sheets. Consider what you need to include in the document: article links, title, and keywords are a few obvious choices, but you could also consider looking for any Google rich snippets or track the progress of each article with ‘before and after’ stats (see republishing pack for your strategy)..
Set a realistic goal for how many blogs you republish each month, and try to stick to it. For the purpose of the second stage of the process, we’re going to use our ‘10 Tips for the Perfect LinkedIn Profile’ blog to show you how we’ve improved it. If your keywords aren’t right, you could be missing out on a lot of search traffic. In our LinkedIn blog, the keyword was ‘10 tips for the perfect Linkedin profile’. This isn’t the best keyword, so we used a keyword research tool to change it. Red-Fern use Ahrefs, but there are other tools out there; Keyword Planner is a free tool from Google. Using the keyword explorer in Ahrefs, our team identified two opportunities. From the two keywords below, which one do you think is better? One keyword has 30 searches a month, and you need 36 backlinks to rank on the top page of Google. The other has 600 searches per month, and you need 32 backlinks to rank on the top page. There’s a clear winner emerging — our new keyword is ‘LinkedIn profile tips’. Once you’ve got your keywords, you can look for Google snippets. Take a look at the screenshot below. Firstly, there's the ad (because Google wants the click more than anyone else! Secondly, we have a featured snippet, and thirdly we have related questions. If you get one of these you have a higher chance of being clicked. You don’t need Ahrefs for this part as you can quite easily type it into Google for the results. See how the featured snippet lists off tips for your LinkedIn profile so this article kept its list format. Related questions can be used in your article which will improve the chances of a high rank. And if you look carefully, the two site links are linked to the first article, so this article has a double chance of being clicked. We found the related question ‘How Do I Make My LinkedIn Profile Stand Out?’ so we used it at the top of our article. Use Ahrefs content explorer for this part of the process — it shows you the most popular articles on social media. As we can see from the screenshot, the article that is top of the Google search has the most social shares. If you don’t have access to Ahrefs, use Google and type in different keywords – you’ll get different articles that have a different angle. There were a lot of generic LinkedIn improvement articles out there, so we thought we’d appeal to one of our buyer personas by creating ours for business owners, written in the first person by Red-Fern owner Sean. It’s now called 20 LinkedIn Profile Tips for Business Owners and gives a different spin on what's already out there. After you’ve looked through other articles, scan your blog for content gaps and ideas. This is the first thing you should do when analysing your blog. Content gaps — Let’s look at our example blog. There was nothing in this article about LinkedIn profile skills, certificates, or hashtags, so we added them in. The more additional content you can create, the better. The more points you create, the bigger the article becomes; and the more chance it has of ranking in a search engine. Content ideas — The first heading only has two lines which say that focusing on your profile page is important. But why? This is a perfect opportunity to reinforce the point you’re making. This blog is ideal for screenshots, as you can see there are already some in there. Could we have more? For example, under the heading groups, there isn’t an image. So insert an example of a group in there and give readers a visual reference point. Consider looking for spots where you can insert videos or infographics to give your article a new dimension. It also enhances the user experience; nobody wants to read a huge block of text. Under our new heading LinkedIn Learning, we added a video which explains what LinkedIn Learning is. If you haven’t got a clear call-to-action (CTA) in your blog post, is it worth publishing it in the first place? If one of your republishing targets is to generate more leads, then you need a CTA. As we can see by scrolling to the bottom of this article, there isn’t a CTA; so we added a social media CTA. You should pick a CTA that’s relevant to whatever article you’re republishing. Insert your CTA as high as possible. The lower down your CTA is, the less chance someone will see it. The reason you’re republishing your blogs in the first place is to get more traffic, so you want to give them the best chance of appearing higher in a search engine. Minimum of 2-3 inbound links per article and 2 outbound. Spread around the text. Maintain a natural keyword density (For example, in a 1650 word article the keyword would need to be found 8 times to hit 0.5% density.) There’s no definitive answer to this, search engines penalise you for too many repetitions. In our LinkedIn article, we re-wrote the meta tags, added keywords, added new images with alt tags and inserted more internal and external links. When you’re happy with the amount of content you have and the way it looks, start perfecting the details. We leave this last for a reason. It’s quite easy to get lost at the start of an article checking your spelling and grammar; by leaving it last, you’re sticking to a process. Conversational tone — nobody wants to feel like they’re being spoken to by a university lecturer. You’re > you are; don’t > do not. Simple, yet effective. Adverb overuse — We use them so often we forget they’re there. Just. Extremely. Obviously. Certainly. But what are these words modifying? Most of the time they’re better left out. Use Hemingway to do this. White space — Keep your paragraphs to 2-3 lines, and use spaces to break up images from text. We used all the techniques and tools listed above to write and check out LinkedIn article. 9. Give it a final proofread — and republish! Before you republish, you should get someone else to read your article — you may get some new ideas, or they might correct a typo. After all the work you’ve done, it’s tempting to want to hit the republish button, but don’t! If there’s a spelling mistake in your first paragraph, you risk undermining everything you’ve done. We get our marketing team to check each article before it’s republished to save any errors. Don’t analyse as soon as you’ve republished your first blog. Take some time out to republish the rest and set dates to take measurements. This could be after the first month, the first quarter or at the end of every campaign. If you have to report to a manager or director with your results, it’s better to plan. The date has come for you to test your results — scary! Be confident. Since July our content team has republished 26 blogs, and we’ve been tracking their progress ever since — looking at traffic and bounce rates as these are the metrics we wanted to improve. Note: We took data from our first 12 blogs which are from various campaigns, and analysed the results over a 3-month period. Traffic — Our traffic more than doubled in three months due to our republishing efforts. Some blogs are more successful than others, and it’s important to have a campaign overview so you can determine which campaigns were more rewarding. The graph below shows an average per blog. Bounce Rates — although our bounce rates stayed the same after the four week period, they’ve gone up in the 13-week period. We think this is because the blogs weren't tied to a specific campaign. This graph is the average bounce rate for all of the blogs in each period. If we compare these metrics to our initial goals. As you can see, we hit this target! So close! But we’ll keep improving. Red-Fern also wanted to attribute our results to specific campaigns, this is how we did with our content marketing campaign. Note: Red-Fern use HubSpot’s content strategy tool to organise our content, it makes it easier to look at our results from a campaign overview. See how you can use this tool by reading this article. In the space of four months (July-October), our team republished 13 content marketing articles and wrote seven new articles. We couldn't isolate specific blogs in the campaign so we had to analyse all of them. As you can see from the graphs below, our bounce rate decreased, and our traffic increased. 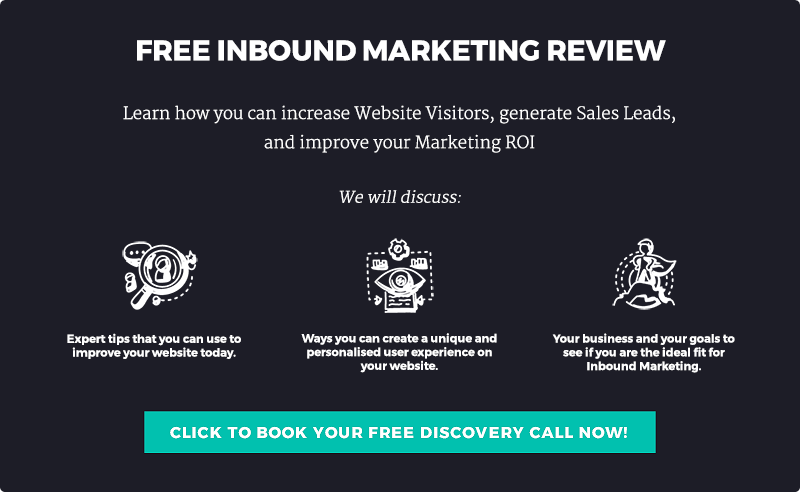 HubSpot allows you to measure how many of the sessions recorded were new visitors, how many pages visitors navigate to on average and how many customers came through this campaign. We still wanted to find out if we’d hit our targets of increasing traffic by 20% and lowering the campaign bounce rate by 15%. The result? We did it! Red-Fern’s content team saw traffic increase by 140% and our bounce rate decrease by 17.2%. Brilliant! However, it doesn’t stop there. The first thing we noticed while we were republishing, and the main takeaway from the data we collected is that campaign republishing is better than random republishing. We’d chosen traffic and bounce rates as our goals for this republishing strategy — but there are patterns our team noticed throughout and after, especially when we looked at the content marketing campaign republish. While we’d managed to increase blog traffic and lower our bounce rate for the campaign based republishes, we’d only generated one lead from this campaign in eight months. This sparked a conversation about premium content downloads and whether we needed to republish one or create a new premium content (this is where the republish pack idea started!). Our team also noticed that our average pages per session had increased, which was due to the links we were building in different articles; creating a content web. Everyone’s changes will be different, but a republish will spark conversations about other aspects of your marketing, such as your website management. 4. Plan the next republish! Once we’d started to republish by the campaign, our content team scheduled inbound marketing and social media articles into our republishing schedule as we wanted to ensure they were ready for the pillar articles they’d be linking to. Always have a clear but changeable plan, and plan in advance if you have a lot of content. Follow these steps and refresh, re-energise and republish your content! Download our republishing pack, or schedule an inbound marketing review to see how Red-Fern can help you.